We have picked out our best rated products for 2019. When buying a reverb effects pedal for your guitar there are some things that should be considered first. This will help you to make a more informed decision, especially as there are so many different models to choose from. First up, you’ll need to look for a pedal that has the features you are after, so it meets the needs you require. 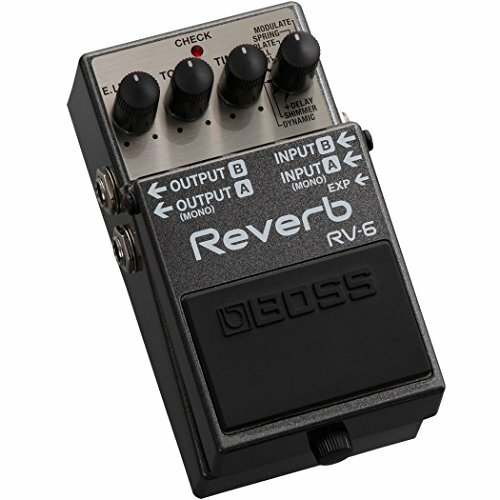 There is no point in investing in a reverb pedal and then finding it cannot create the desired effect when playing! 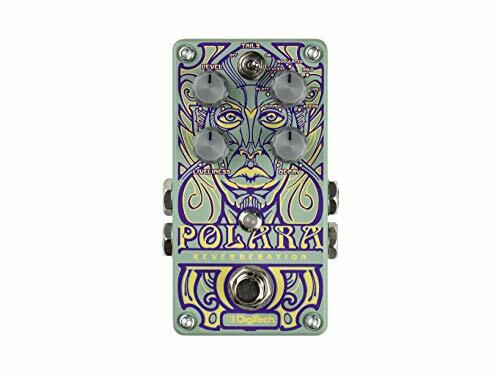 Please note, for this article, we are looking exclusively at stand-alone reverb effects pedals, as opposed to multi-effects units that have reverb built in. You need to be considering, what type of reverb are you wanting to achieve? For example, do you want a hall reverb, to replicate the sound of a music hall performance, or perhaps you are after the plate reverb, that creates quick and full echoes. Each pedal will have different presets, and so you’ll need to check the pedal you are reviewing has the reverbs you plan on using. It is worth considering the amount of presets featured-do you expect to use one or two, or would you like a wider choice, so then they are there should you need them? Also up for consideration, should be the control knobs (for parameter controls). These knobs can make a big difference as they allow more in-depth editing options to the sounds. However again, you need to ask yourself if your playing style will likely need the deeper control options (do you expect to be crafting the textures of your reflections) or maybe you will only require a more classic pedal with fewer elements of control, that allows for a simple ongoing subtle reverb and without the other bells and whistles. Another consideration to throw your way is to decide if you want your pedal to be ‘true bypass’ or ‘buffered’. A true bypass pedal completely bypasses the circuity when the effect is switched off, so in other words, the same as if you had just plugged it into an amp. Some purists prefer true bypass because of this. It is worth noting though, that with true bypass, it will cut off the reverb decay as soon as the switch is hit. Some may not be so keen on that. Opposing the true bypass is the buffered bypass which continues to feed their output so the end of a sound can continue to stretch over as your playing the next part. Then the final option is a pedal that can be configured to either act as a true or buffered bypass-many pedal have this option. You’ll want to be considering a pedal that offers a complete package as well as taking in to account all of the above. For example, you might find some pedals much easier to use than another one, after all no two designs are exactly the same. This is why it can be helpful to read peoples reviews on each product, or view some videos online with the pedal in action. Remember, some pedals will offer a lot more flexibility and scale with what they can achieve, and that is well worth looking into. 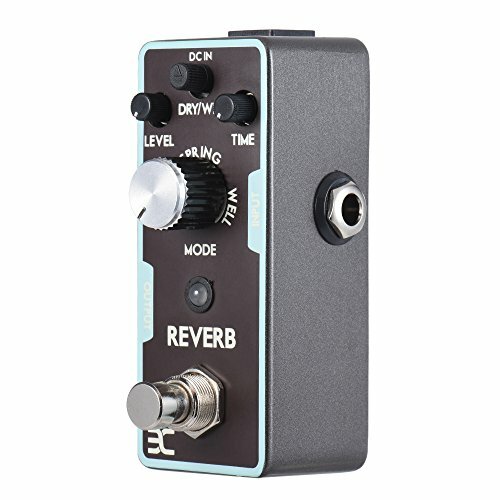 As mentioned there are many different reverb pedal options on the market, and when doing your research look for brands that have a good name in the business, and make pedals to suit your needs. Popular brands include Boss, Fender, Behringer, Strymon, TC Electronic and many others. Of course, like with everything you want to purchase in life, what you can buy will depend on your budget. Are you looking for a lower range, mid range or higher end model? 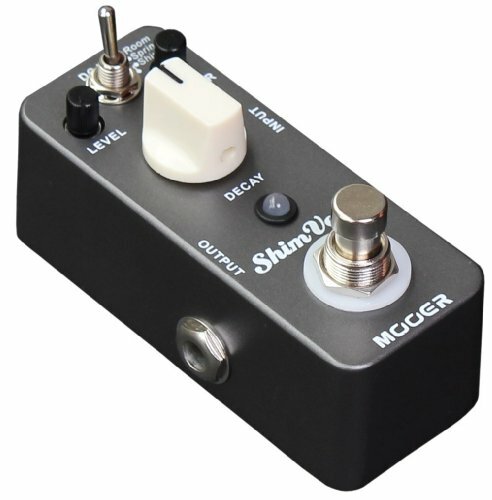 The good news is that there are plenty of price ranges for this particular gadget, so you really should be able to find a pedal that suits both your budget and needs. You can expect to pay more for some of the more complex options, and for some of the bigger branded names.